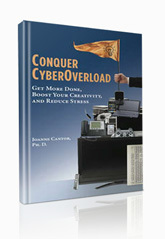 Dr. Joanne Cantor shares insights from her latest book Conquer CyberOverload: Get More Done, Boost Your Creativity, and Reduce Stress. Do we own our electronic gadgets or do they own us? Dr. Joanne Cantor challenges how we think about our relationship to our smartphones, ipods, ipads, and other digital devices. Although these are great tools, they often interfere with our ability to be creative and get things done, and they can add unnecessary stress to our lives. Joanne shares with us insights from her latest book Conquer CyberOverload: Get More Done, Boost Your Creativity, and Reduce Stress. Joanne is an internationally recognized expert on the psychology of media and communications. She was a professor at the University of Wisconsin for 26 years. In recognition of her expertise, Dr. Cantor has testified on numerous occasions before US Congressional committees as well as the Federal Communications Commission. She is frequently cited in the national press and has been a guest on numerous radio and television shows including Oprah, Good Morning America, and several NPR programs. Your background in studying social, cognitive, physiological psychology gives you a unique vantage point to understanding the impact of information overload on our productivity, creativity, and quality of life. 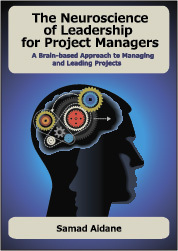 How did you get interested in this topic and what was the motivation for writing the book? Why is understanding how our brains work is critical to understanding the impact of information overload? How is the digital revolution changing our world and why is connectedness to our gadgets so addictive? You say that our brains can’t multitask, and when we rapidly switch back and forth between two tasks, both tasks suffer. What is the latest brain research telling us about Multitasking? What’s the impact of information overload on creativity? You talk about the importance of sleep and especially its role in memory consolidation and learning. Can you elaborate on this concept? You also discuss the impact of stress that comes with our constant connection to technology. What is the latest brain research telling us about the effects of stress? You will be presenting on “Conquer CyberOverload: Strategies For Sanity & Success” at the Pink Elephant 16th Annual International IT Service Management Conference & Exhibition February 19th thru 22nd, 2012. Can you share with us some final thoughts on the key takeaways the audience will gain from the presentation?